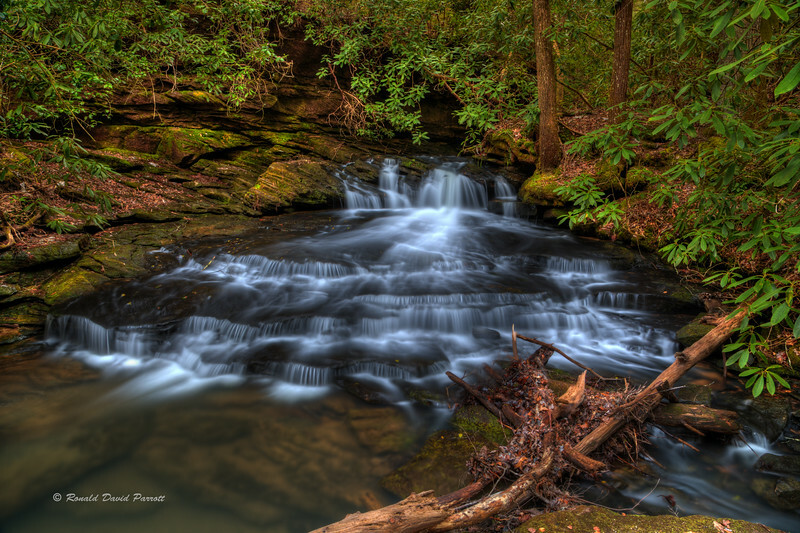 This is the 2nd Falls on Pounder Branch in Laurel County, Kentucky. Although this pretty little waterfall is right next to the trail to Vanhook Falls, many hurry on past without giving it much more than a glance. It's hard to get noticed when you're in the midst of greatness. You see, this is one of the lesser of several waterfalls which can be seen from what is often described as the prettiest hike in Kentucky. Several other waterfalls from this hike can be found in this gallery.